COLUMBUS, OH: Nazem Kadri of the Toronto Maple Leafs controls the puck during the game against the Columbus Blue Jackets on December 28, 2018 at Nationwide Arena in Columbus, Ohio. Toronto defeated Columbus 4-2. 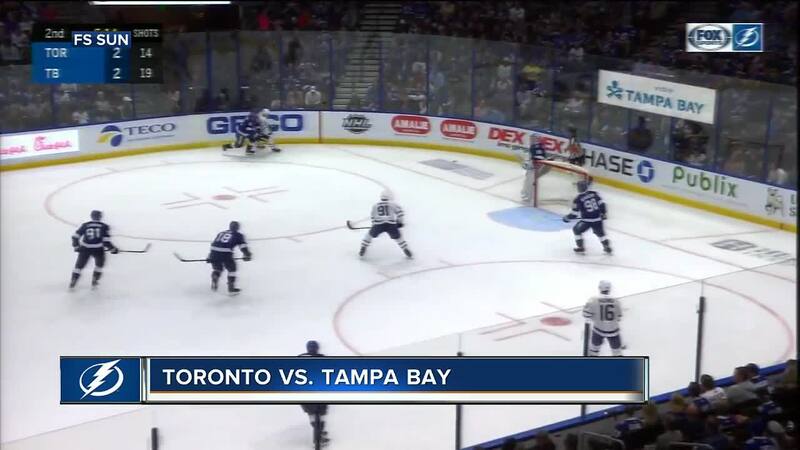 TAMPA, Fla. (AP) -- Although they trail Tampa Bay by 14 points in the standings, the Toronto Maple Leafs are having some head-to-head success against the top team in the NHL.